Singer-turned-reality star and talk show host Tamar Braxton is on a promo run with her girls promoting their new talk show, The Real. 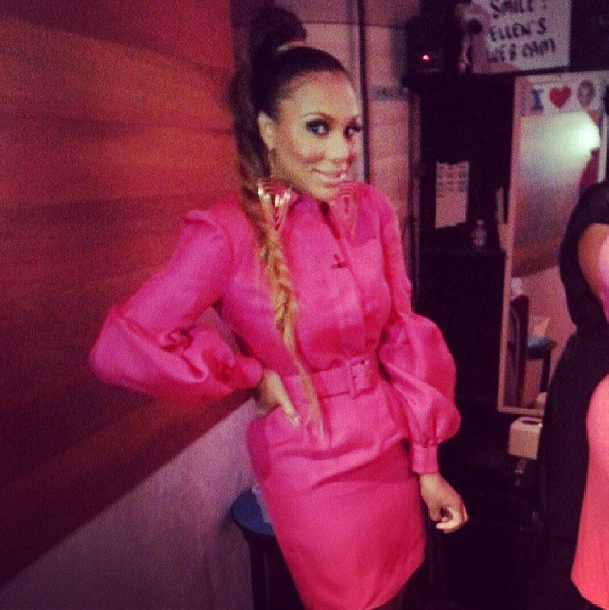 For one of her appearances, Tamar got glammed-up in a pink dress from Gucci’s Spring 2013 collection. Are you feeling her dress? Her new album arrives this fall.